Abstract: Swimmers in nature use body undulations to generate propulsive and maneuvering forces. The an- guilliform kinematics is driven by muscular actions all along the body, involving a complex temporal and spatial coordination of all the local actuations. Such swimming kinematics can be reproduced artificially, in a simpler way, by using passively the elasticity of the body. 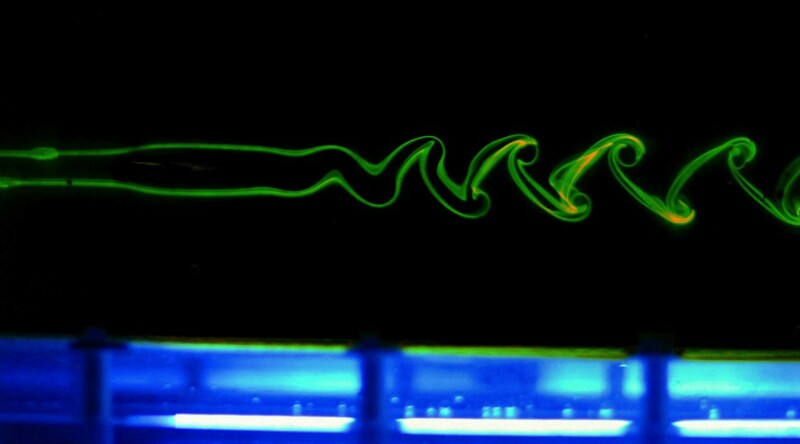 Here we present experiments on self-propelled elastic swimmers at a free surface in the inertial regime. By addressing the fluid-structure interaction problem of anguilliform swimming, we show that our artificial swimmers are well described by coupling a beam theory with the potential flow model of Lighthill. 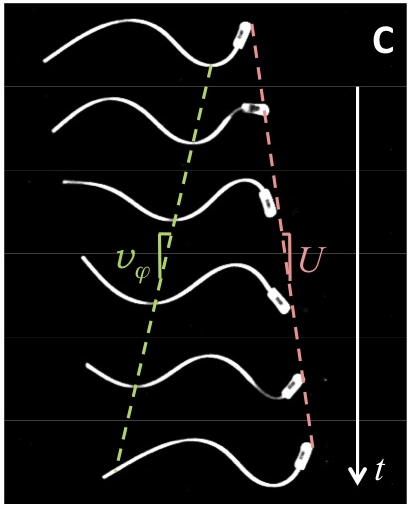 In particular, we show that the propagative nature of the elastic wave producing the propulsive force is strongly dependent on the dissipation of energy along the body of the swimmer.